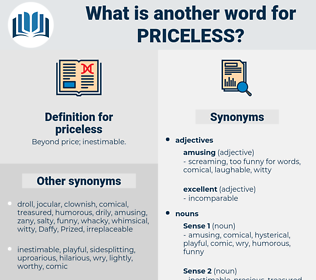 What is another word for priceless? worth one weight in gold. 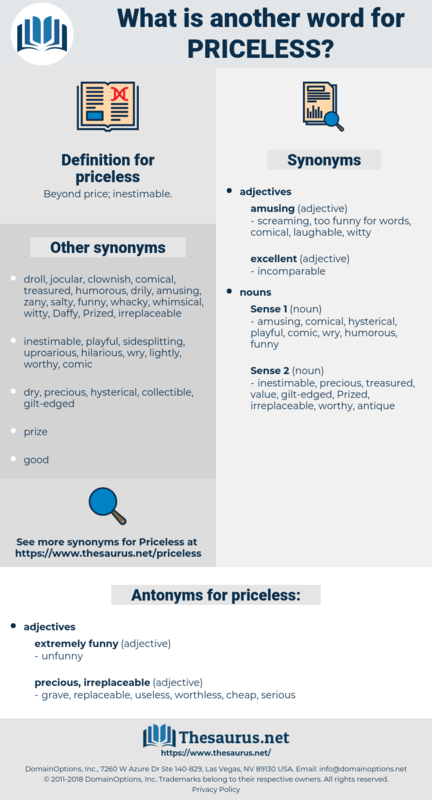 indispensable, treasured, wonderful, sterling, terrific, Prized, tremendous, expensive, unbelievable, hilarious, incredible. precious, immeasurable, incalculable, valuable, irreplaceable, cherished, unaffordable. grave, replaceable, useless, worthless, cheap, serious. He drew out a sheet of paper wrapped in an old silk handkerchief, as if it were a priceless possession to be carefully preserved, and held it toward them. We bore the good Lord James away, And the priceless heart he bore, And heavily we steer'd our ship Towards the Scottish shore.